Mashable carried an article on 30th December, 2010 reporting that Kodachrome had been discontinued by it’s manufacturers Kodak. No surprise really as Digital cameras are so dominant! BUT, for me it reminded of a time in 1973, when I spent a weekend, with my wife, decorating a house that we had bought ready to move into, in the September. 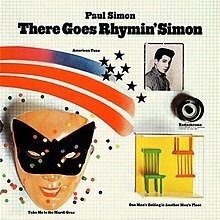 We had taken a break, gone to town and I found a Compact Cassette of Paul Simon’s “There Goes Rhymin’ Simon” which I duly purchased and played for the rest of the weekend. They give us those nice bright colours. They give us the greens of summers. Makes you think all the world’s a sunny day, oh yeah. I got a Nikon camera. and brought them all together for one night. and everything looks worse in black and white. 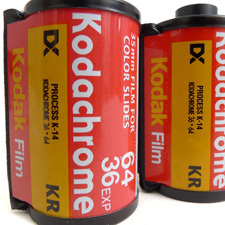 Kodachrome was introduced by Kodak in 1935 and was the first commercially successful colour film and my choice over the years that I used film. When I look back ……….. fondly!